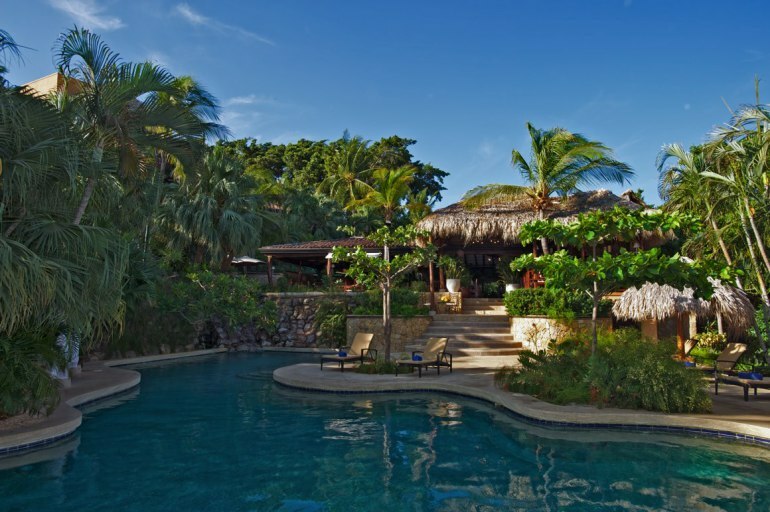 Located on a small hill, El Jardín del Edén is 500 feet – a three minute walk – from the beach on gorgeous Tamarindo Bay, in the northern Costa Rican province of Guanacaste. 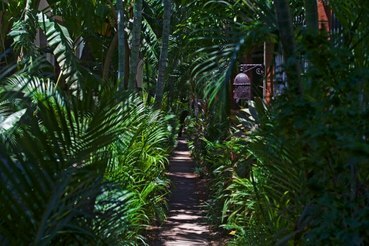 In this splendid Central American country, Tamarindo’s two miles of white sand is one of the quietest and most fascinating of all the Pacific beaches. Its particularly dry climate makes your stay pleasurable at any time of year. 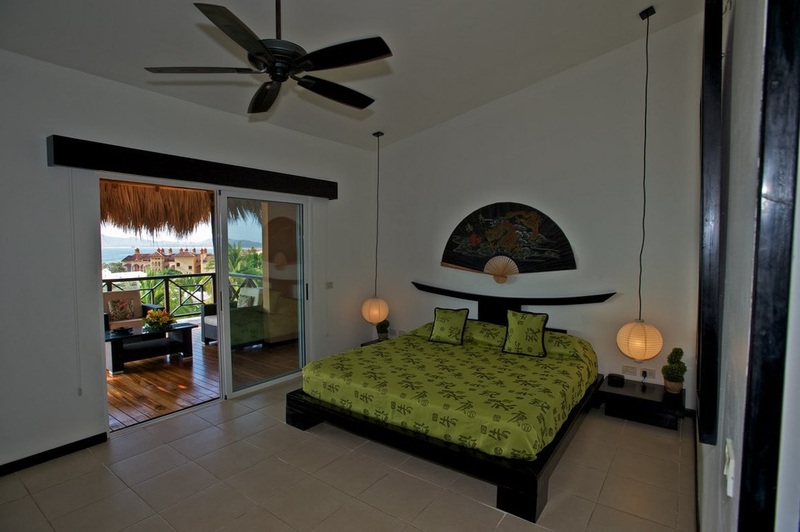 Five villas with a total of 46 independent rooms and two fully equipped apartments all offer air conditioning, ceiling fans, private bath, hot water, refrigerator, bar, safe deposit box, and an enticing view of the ocean and its magnificent tropical sunset! 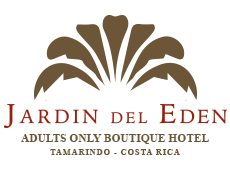 The Restaurant “El Jardín del Edén” is famous for its fine Mediterranean inspired cuisine with the best selection of seafood and lobster combined with a touch of originality. All the recipes are “out of the ordinary” and sure to please the palate! 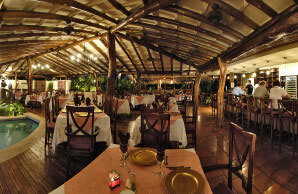 A romantic candle light dinner above the lighted pools will make your evening an unforgettable experience. A delicious breakfast is also served at our restaurant. 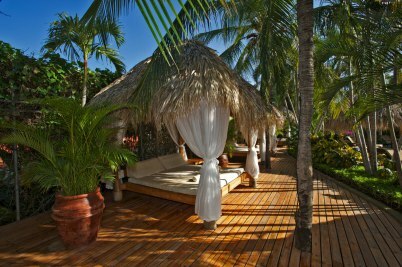 Enjoy lots of water sports including scuba diving and sport fishing . . . tour a dry forest, a volcano, turtle nesting grounds or a Mangrove ecosystem . . . take a horseback tour – two hours, half a day or a full day . . . dine on the finest French and Italian cuisine in exclusive restaurants and unique wet bar . . . take a Jacuzzi at sunrise . 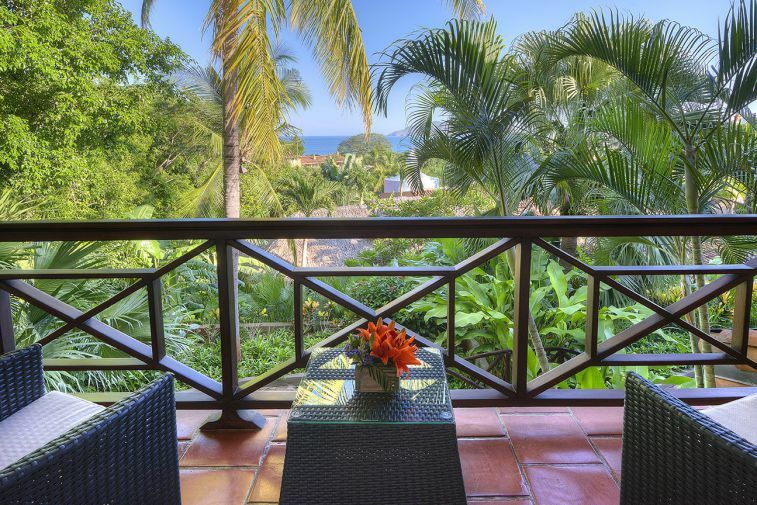 . . and always, drink in the breathtaking ocean view and exclusive atmosphere.